So Weight Watchers 24/7 Chat has been helpful with suggestions for healthier snacking options when I’ve got the craving for chips. Remember how coaches Donna and Rosie chatted with me and helped out with some tips for eating out and snacking at night? I’ve been using the Weight Watchers site to get inspiration for meals, too. I’ve been in a bit of a rut lately where I’m not in the mood for,well, anything, it seems when it comes to food. Just nothing that comes to mind that’s appealing that I want to cook, maybe it’s the transition of seasons? This happens a few times a year, and I always find myself poring through cookbooks and websites looking for flavours that are different than what I usually have. I’m also always looking for new ways to eat more veggies (and most veggies are 0 points on the Weight Watchers system) so the site’s provided healthy inspiration for that, too. 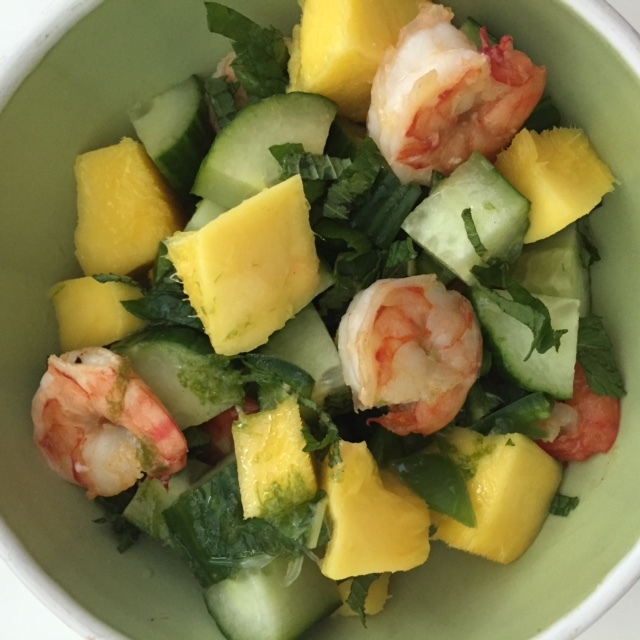 One of my favourite recipes I’ve found on the Weight Watchers site is this Malaysian shrimp salad recipe. It’s just a bowl full of bright and happy freshness. The zing of the lime and the tropical mango will make you feel like you’re eating this vibrant salad on a gorgeous beach. Bonus: this salad comes together super quickly and easily. I substituted a jalapeno for the hot green chili pepper and left the shrimp whole (I just prefer them that way). Want to try this recipe (which is 5 points, btw)? You can get the Weight Watchers Malaysian shrimp salad recipe here. Alright, we’re three months into 2015, how well are we all sticking to our goals? If you recall, I was planning on testing out the new 24/7 Expert Chat service offered by Weight Watchers. I think that it’s so key to have someone supportive you can call on at any time so I was keen to get chatting. And it’s come at a good time for me because since the new year, I’ve been quite overwhelmed and burnt out so my eating habits haven’t been so stellar (opting for more packaged foods than cooking, for example). My calendar’s been jam-packed, too, with events involving cocktails and lunches and dinners. I checked in with the 24/7 Expert Chat, and the friendly coach (Donna) recommended familiarizing myself with the restaurant’s menu along with the points values ahead of going to the dinner so that I wouldn’t be in for a shocker after the fact (seems many of us underestimate points values). So knowledge is power, check. I also found it helpful to check in with an expert the nights I was up late working or just watching TV. This is when I often snack. I chatted with Rosie, and it’s just nice to have support you can reach out to when you need it. She asked what I tend to do when I’m snacking late at night and noticed it’s when I’m in front of a screen (which, to be honest, is almost always, since I’ve always got my smartphone on me). In any case, she had some suggestions for snacks with zero or low points, such as sliced tomatoes with basil and sprinkled with parmesan. Or the snack size bags of Sun Chips (she confessed that having a large bag just doesn’t work out well for her, me neither!). After we chatted, I went to the eTools to find some more snack ideas. Thanks, Rosie! Giveaway alert! We’re giving away a Weight Watchers membership! Have you tried the 24/7 Expert Chat yet? Well, if you want to try it out and aren’t a member of Weight Watchers, you should definitely enter to win a three-month membership to Weight Watchers! That’s right, you can kickstart your way into a new healthy routine by winning a three-month membership to Weight Watchers from HealthAndSwellness.com. 1. Email: Email me at healthandswellness@gmail.com with your name and mailing address. Please put “Weight Watchers membership giveaway” in the subject line. 3. Comment: Comment on this blog post about what your goals are if you win the membership. 4. Facebook: Like the Health and Swellness page on Facebook and then leave a comment on the wall post about this Weight Watchers three-month membership giveaway about how you feel Weight Watchers will help you most (whether it’s going to meetings, having the 24/7 Expert Chat, you name it). The prize of a three-month membership is valued at $103.84 and the giveaway will close at 11:59 p.m. EST on Monday, March 30, 2015. Please note that this giveaway is open to Canadian residents only. The winner will be chosen at random. If I cannot reach the winner within five days, another winner will be selected. 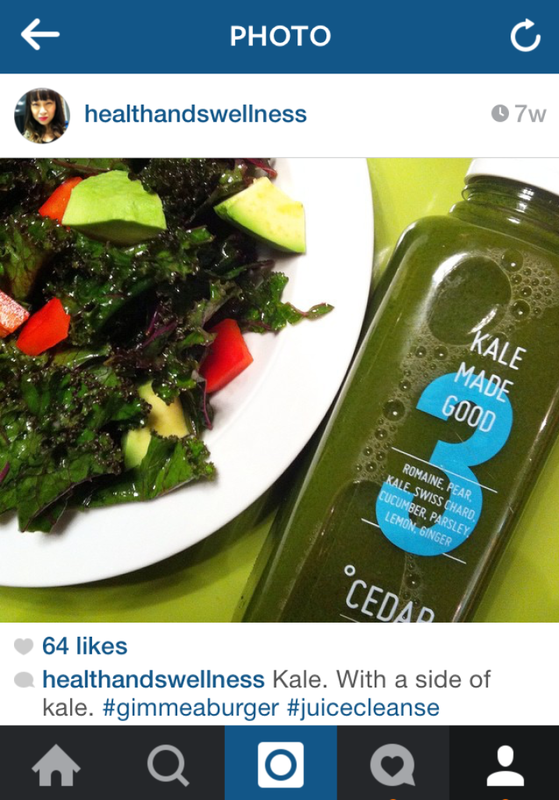 I let my love of cold-pressed juices convince me to agree to try a three-day juice cleanse from Cedar Juice. I think I forgot how tough they are (I did a two-day juice cleanse a few years ago and had a very tough time with it). 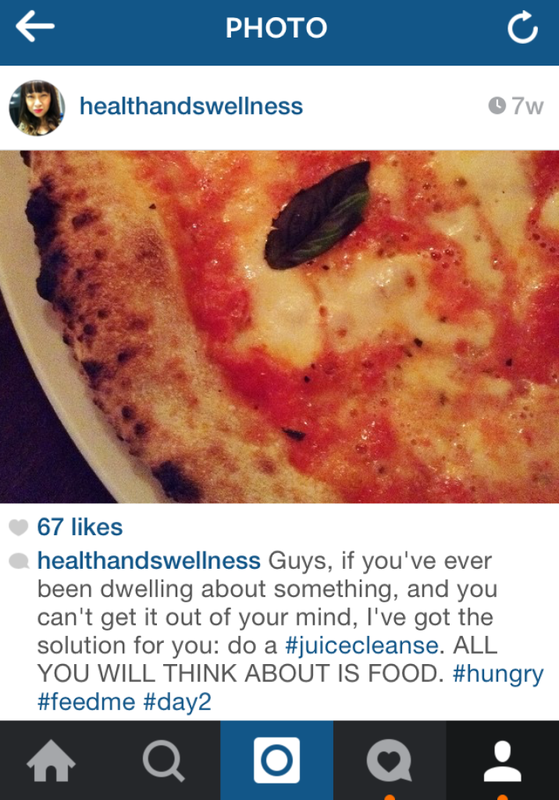 Plus, truth be told, I don’t really believe we need to juice cleanse. I think our bodies need actual food every day, that our liver and kidneys take care of cleansing the body, and that juice cleanses encourage disordered eating. In this article from Slate (Juice Cleanses: It’s not healthy, it’s not virtuous and it makes you seem like a jerk) writer Katy Waldman describes it much better than I could quickly here. And yet I was still curious. With so many people swearing by them (including my friend Sasha, you can read her review of the cleanse on her blog SoSasha.com here) was I missing out on something? I sure like the sounds of glowing skin, feeling very focused and alert, and having more energy. And so I agreed to try the cleanse for three days, although I planned from the get go to eat salads throughout the cleanse. The six juices total 1,100 calories and you’re supposed to drink them in this order above. The order to drink the juices is meant to reflect our normal eating patterns during the day, I was told by Cedar Juice. “For breakfast you get Kale Made Good, and therefore a hit of nutrients, at lunch you get this as well. For dinner, you are getting more caloric and heartier juices with Skip to the Beet, and the final juice being Cracked It, which has the protein & fat to keep you satiated throughout the night!” In addition to the juices, you’re told to drink plenty of water and herbal tea in between the juices. I had some difficulty finding the right time to do the cleanse. It had to be at a time when I didn’t have any important dinners (and January was busy as I had a week-long trip to the Caribbean and my birthday to work around), plus I wanted to complete it before my marathon training started getting into longer distances. I eventually settled on doing it right after the holidays in early January. Like my first juice cleanse, I had a very tough time. Wait. That’s a huge understatement. It was an extreme struggle. I love food and I probably think about food more often than the average person. I think you can tell from my Instagrams here that I wasn’t having much fun on the cleanse. I also didn’t plan very well: on day 1 of the cleanse, I didn’t have any salad ingredients at home and it was so cold out that I couldn’t bear the idea of walking to the grocery store. On day 2, with my growling tummy, I braved the freezing cold to get kale and other veggies because I missed having food and felt woozy. Eating salad helped a great deal. I like chewing food and feeling food in my stomach. On day 3, I met a friend at a restaurant where I sipped on a juice as she had wine and fried calamari. By this point, I think I was so resigned (or maybe just plain tired) to just having juice and small salads that it didn’t bother me too much to be in the presence of food and wine. (That said, day before I may have bitten her head off when she told me she was enjoying an espresso…). This being the last day, I also started drinking the juices in any order. Since I found Cracked It (the almond milk that you’re to drink last) the most filling, I drank that early in the day. 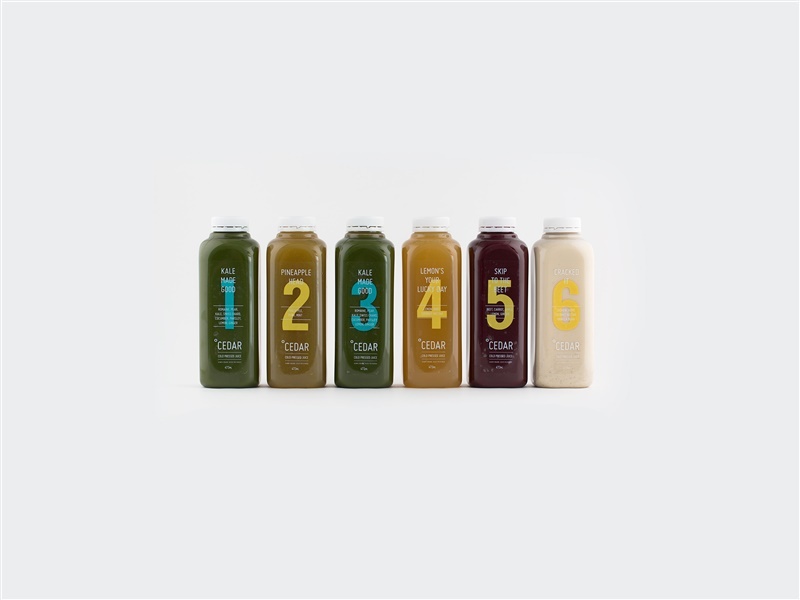 Similar to my first cleanse experience, I had trouble keeping up with drinking all the juices. I tend to drink slowly so I really didn’t have time in between juices to also have tea and water. On day 2, I only ended up drinking five of the bottles. Plus, since I don’t hydrate often generally (bad habit of mine), this huge increase all at once of hydration had me in the washroom all the time (which meant I also had disrupted sleep during my cleanse). Well, after three days of juice and veggies, I was super, super relieved to eat more than salad again. I didn’t ease back into eating, which is what they recommended, to eat light meals for a few days. I went back to my usual diet of mostly well balanced meals. Oh, and by the way: if you want to cut back on a pricey cold-pressed juice habit, do a juice cleanse and you won’t want to touch a cold-pressed juice for weeks. True story. I had zero desire for a single sip of one for quite awhile. As for the benefits you’re supposed to reap, well, I kept hoping I’d look in the mirror and be so taken aback by incredible skin, or that I’d feel a mental clarity like never before. But none of those benefits ever happened for me. The Cedar Juice juices are definitely tasty and I’d certainly happily drink them as part of my diet (I do love cold-pressed juices, and I now often use my Juicepresso at home to make them); my favourites from Cedar were Skip to the Beet, Cracked It (so creamy and delicious) and Pineapple Head. But as for juice cleanses in general, I think that’ll be the last one for me. If they work for you and you genuinely find you reap health benefits from them (and you’re not using it as an excuse to drop weight quickly), well, then your experience is very different than mine, and that’s your choice and more power to you! Personally, with my love of food and active lifestyle, this girl’s sticking to real food every day. Betty S on Beauty Swellness: Rodial giveaway! Taylorlee on Beauty Swellness: Rodial giveaway! Vanessa on Beauty Swellness: Rodial giveaway! 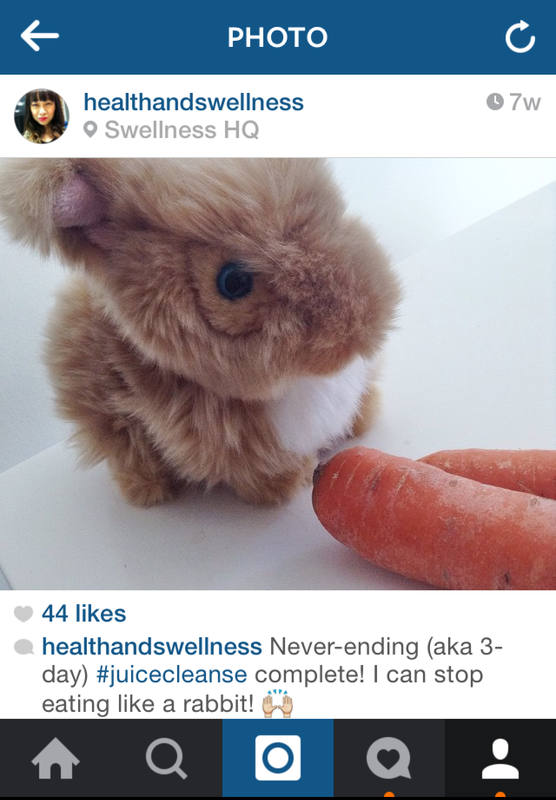 Karla Sceviour on Beauty Swellness: Rodial giveaway! © Copyright 2019 Health & Swellness. All rights reserved.